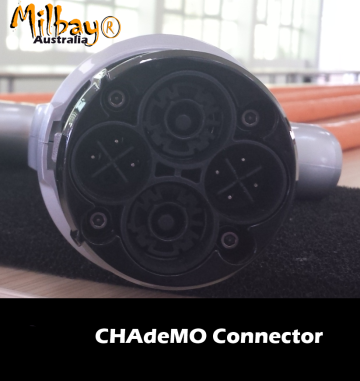 Milbay Australia EV (Electric Vehicle) DC Fast chargers and Electric Vehicle Supply Equipment (EVSE) product range. 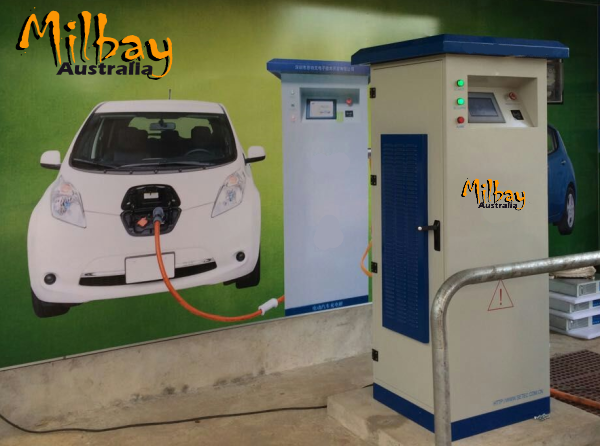 Milbay Level 3 EV DC Fast Chargers are available in Portable, wall mount and free standing commercial models. Power outputs range from 10kW through to 100kW. Australian Prices Please contact Milbay for the latest DC Fast charger prices. Chargers include CHAdeMO or SAE Combo charger connection and high quality charge lead. Milbay DC Fast Chargers are suitable for installation and connection in urban or remote locations for public, commercial or private use. Milbay can supply a solar plus Lithium LiFePO4 battery power source for Milbay DC Fast Chargers on request. 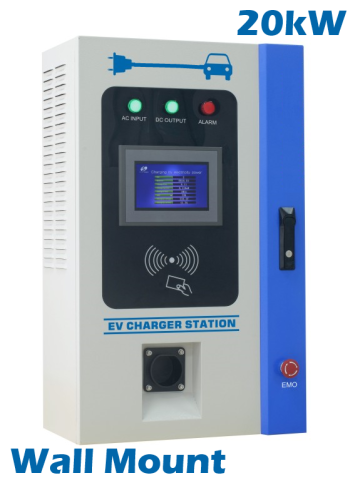 Milbay DC Fast Chargers are available in single phase 230 - 240 Volt AC or three phase 400 - 415 Volt electricty models. 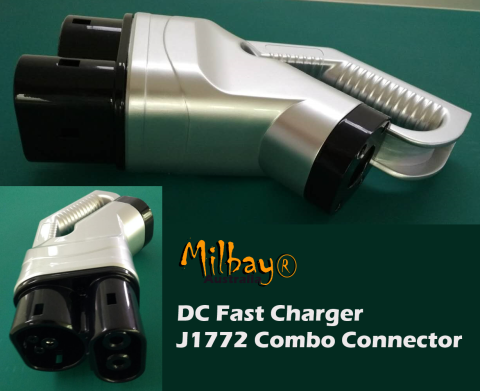 All Milbay DC Fast Charger models have AC and DC supply source input connection capability. 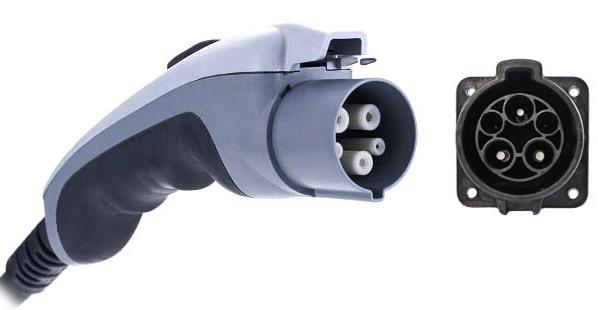 Chargers include both CHAdeMO and SAE CCS Combo connection protocols - Charge any EV from a single DC Fast charger. Pre - Paid card payment option for public and commercial models. Common names for EV chargers. Level 1 and 2 chargers for Plug in electric vehicles utlise the intelligent on-board AC-DC converter to rectify the Electric Vehicle Supply Equipment (EVSE) AC output and step the output up or down to a level appropriate for charging the vehicle's on-board battery pack, battery packs vary in chemistry, design and capacity from vehicle to vehicle. The onboard AC-DC converter communicates via the J1772 protocol and commands the EVSE to energize. The J1772 standard connector provides Pilot and Proximity pins that allow for detection of the EVSE plug by the vehicle when connected (even if not live/charging). The pilot tone is used by the EVSE to identify to the vehicle the maximum current that is available. The standard was designed so that if a vehicle requires more current than the EVSE can supply, the vehicle can then choose not to charge. The original standard SAE J1772 was written to provide for 80A charging at 230V, although most implementations are 30A or less. 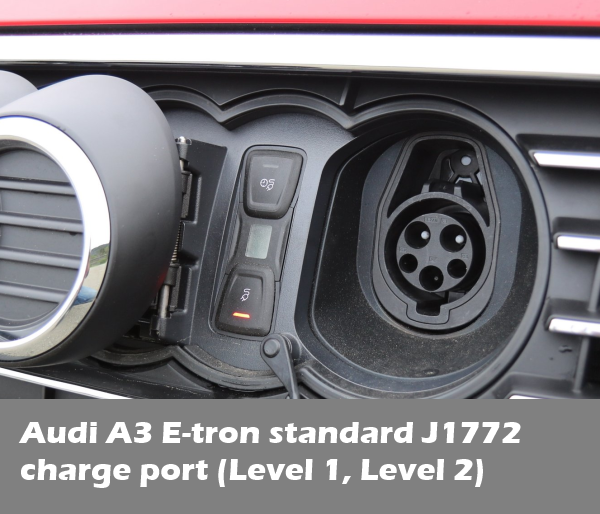 “Level 1” indicates 120VAC charging (usually less than 16A), Level 1 devices are supply devices only with AC/DC conversion and battery charging being managed by the vehicles on board charger. “Level 2” indicates single or three phase supply connection for 3.3kW, 6.6kW and 22kW charge station output. Level 2 devices are supply devices only with AC/DC conversion and battery charging being managed by the vehicles on board charger. Actual current usage is determined by the vehicle. Most EVs and plug-in hybrids sold today are provided with some form of portable J1772 (Level 1/2) supply EVSE that are compatible with the lowest available regional household charge current, example: Australia (13A) 230V AC. "Level 3" refers to DC Fast Chargers. 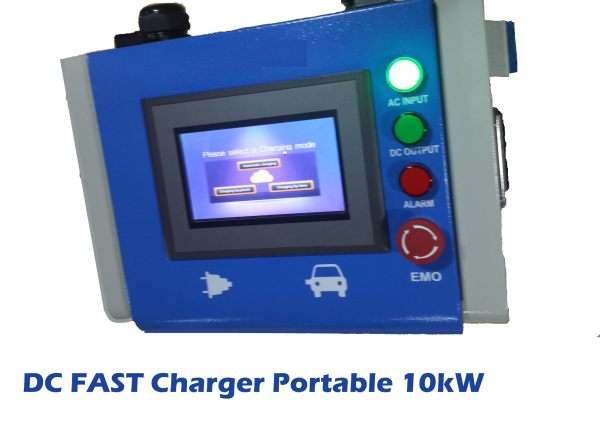 DC Fast charge stations manage the battery system charging and bypass the electric vehicles onboard charger by exchanging messages with the vehicle's communication network to deliver a DC Charge directly to the battery through the electric vehicles DC charge port. Level 3 DC Fast Charge stations reduce the time to charge the battery system significantly as energy delivery is not constrained by the limitations of the onboard AC/DC converter. 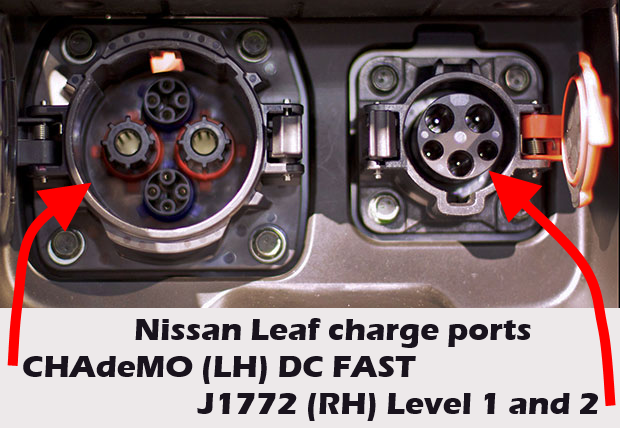 The CHAdeMO and SAE Standards incorporates specifications for Level 3 DC fast-charging including the physical connections and communication. 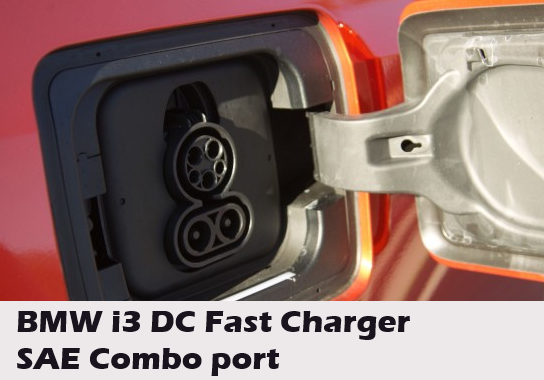 Level 3 DC Fast charger connectors provide a FAST DC connection directly to the vehicle battery system and leverage the performance of the external FAST Charger however Level 1 and 2 J1772 charger connectors provide only an AC connection to the vehicles onboard charger, . Electric vehicle DC Fast charging capability was introduced on a limited basis in models such as the Nissan LEAF and Mitsubishi iMiEV. Today however most 100% electric vehicles as well as some Plug In Hybrid Electric Vehicles (PHEV) offer DC Fast Charge capability as standard or option on new models. Level 3 DC Fast chargers are generally rated in kW (kilowatts) indicating the maximum power the DC fast charger can deliver in 1 hour however for most vehicles the charge is completed in much less than one hour. DC Fast Chargers as the name suggests deliver the vehicle charge in significantly less time than Level 1 or Level 2 EVSE. 80% recharge can generally be achieved in as little as 30 minutes for vehicles such as Nissan Leaf using the commercial model Milbay DC Fast Charger. GMH Volt, Nissan LEAF, Tesla Model S, BMW, newer Prius and newly released model are all plug-in EVs that use the SAE J1772 standard to connect and charge. The standard (Level 1, Level 2) J1772 plug and receiver port. (source: zemotoring.com) About SAE J1772 (Level 1, Level 2 AC Chargers). 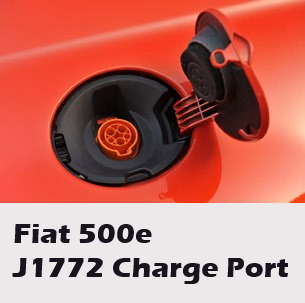 The SAE J1772 standard constitutes a definition of how a charging station (EVSE, or Electric Vehicle Supply Equipment) physically connects, communicates and charges the vehicle. The EVSE manages the power connection from the grid or household power to the vehicle for safe vehicle charging. Although J1772 is not required by any Australian regualatory authourity the SAE standard has now been adopted by all the manufacturers of passenger plug in electric vehicles worldwide. Side view of Milbay CHAdeMO connector. CHAdeMO is a consortium of Japanese automakers that was at one time the only DC fast-charge standard. 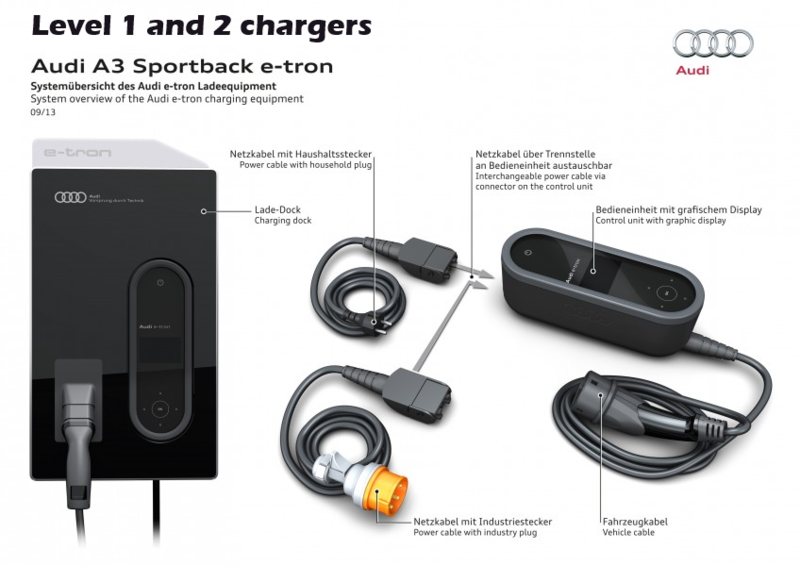 The SAE standard has added DC Fast Charging specifications with vehicle manufacturers such as Audi, BMW, Daimler, Ford, General Motors, Porsche, and Volkswagen agreeing to implement the SAE standard (CCS / combo) as their preferred direct DC charging standard although some of these manufacturers are now also introducing the CHAdeMO specifications. CHAdeMO and SAE (CCS) Combo connector examples. 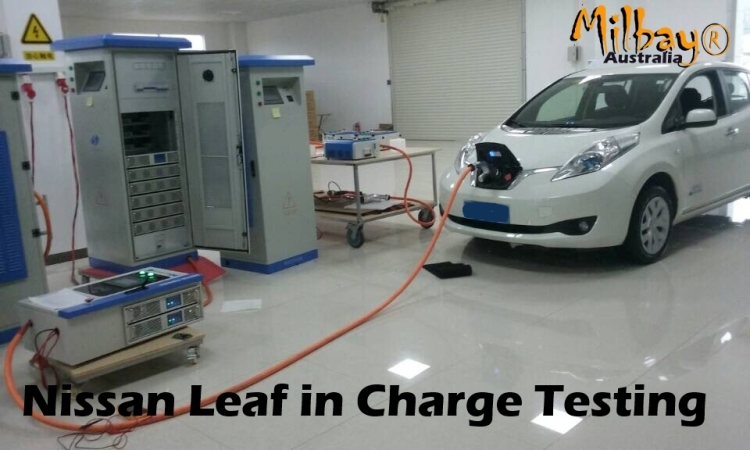 Milbay 10kW Portable DC Fast Charger is around 3 times faster than the level 2 AC charger at a maximum input of 3.3kW. Milbay 20 kW Wall mount DC fast charger is about 6 times faster than Level 2 AC chargers. Milbay public commercial 40/50kW free standing models are about 20 times faster than Level 2 AC chargers. NOTE: Information and trade marked names are shown for refrence purposes only. Please refer to the vehicle manufacturers websites for up todate vehicle model details and specifications. Some information shown here may have changed. Distances added and charge times shown are an indication only, specific charge times and distance added will vary dependent on driving and battery conditions.